Northumbrian Old English had been established in what is now southeastern Scotland as far as the River Forth by the seventh century, as the region was part of the Anglo-Saxon kingdom of Northumbria. Middle Irish was the then language of the Scottish court and the common use of Old English remained largely confined to this area until the thirteenth century. 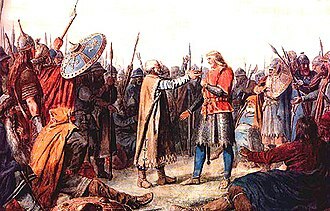 The succeeding variety of Early northern Middle English spoken in southeastern Scotland was also known as Early Scots. 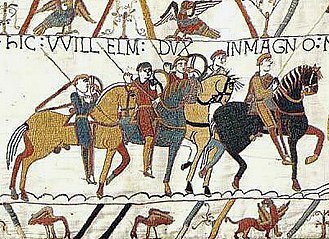 It began to further diverge from the Middle English of Northumbria due to twelfth and thirteenth century immigration of Scandinavian-influenced Middle English-speakers from the North and Midlands of England. 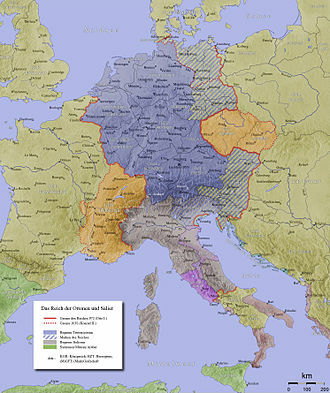 Later influences on the development of Scots came from the Romance languages via ecclesiastical and legal Latin, Norman French, and later Parisian French, due to the Auld Alliance. 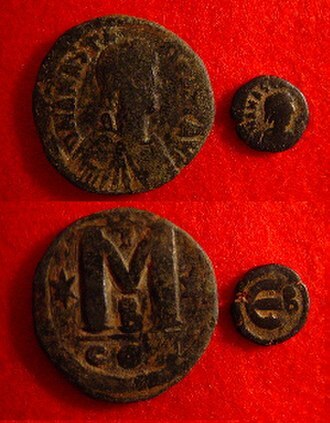 Additionally, there were Dutch and Middle Low German influences due to trade with and immigration from the Low Countries. 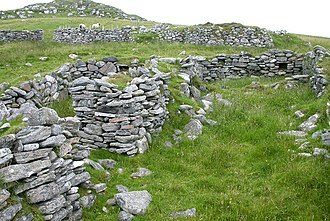 Scots also includes loan words in the legal and administrative fields resulting from contact with Middle Irish, and reflected in early medieval legal documents. Contemporary Scottish Gaelic loans are mainly for geographical and cultural features, such as ceilidh, loch and clan. From the thirteenth century, the Early Scots language spread further into Scotland via the burghs, which were proto-urban institutions first established by King David I. In the fourteenth century Scotland, the growth in prestige of Early Scots and the complementary decline of French, made Scots the prestige dialect of most of eastern Scotland. By the sixteenth century Middle Scots had established orthographic and literary norms largely independent of those developing in England. 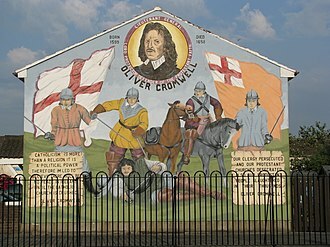 From 1610 to the 1690s during the Plantation of Ulster some 200,000 Scots-speaking Lowlanders settled in Ulster in Ireland. In the core areas of Scots settlement, Scots outnumbered English settlers by five or six to one. The name Modern Scots is used to describe the Scots language after 1700, when southern Modern English was generally adopted as the literary language, though Modern Scots remained the vernacular. In Scotland, Scots is spoken in the Scottish Lowlands, the Northern Isles, Caithness, Arran and Campbeltown. 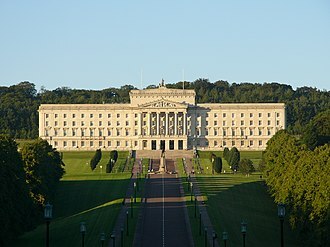 In Ulster (Ireland) it is spoken in the Counties of Down, Antrim, Londonderry and Donegal. Dialects include Insular Scots, Northern Scots, Central Scots, Southern Scots and Ulster Scots. Before the Treaty of Union 1707, when Scotland and England joined to form the Kingdom of Great Britain, there is ample evidence that Scots was widely held to be an independent sister language forming a pluricentric diasystem with English. The linguist Heinz Kloss considered Modern Scots a Halbsprache (half language) in terms of an abstand and ausbau languages framework although today, in Scotland, most people's speech is somewhere on a continuum ranging from traditional broad Scots to Scottish Standard English. Many speakers are either diglossic and/or able to code-switch along the continuum depending on the situation in which they find themselves. Where on this continuum English-influenced Scots becomes Scots-influenced English is difficult to determine. Because standard English now generally has the role of a Dachsprache, disputes often arise as to whether the varieties of Scots are dialects of Scottish English or constitute a separate language in their own right. The UK government now accepts Scots as a regional language and has recognised it as such under the European Charter for Regional or Minority Languages. 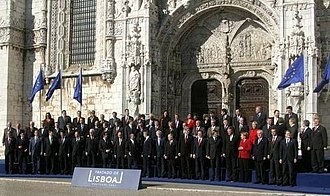 Notwithstanding the UK government's and the Scottish Executive's obligations under part II of the European Charter for Regional or Minority Languages, the Scottish Executive recognises and respects Scots (in all its forms) as a distinct language, and does not consider the use of Scots to be an indication of poor competence in English. Evidence for its existence as a separate language lies in the extensive body of Scots literature, its independent – if somewhat fluid – orthographic conventions and in its former use as the language of the original Parliament of Scotland. Because Scotland retained distinct political, legal, and religious systems after the Union, many Scots terms passed into Scottish English. 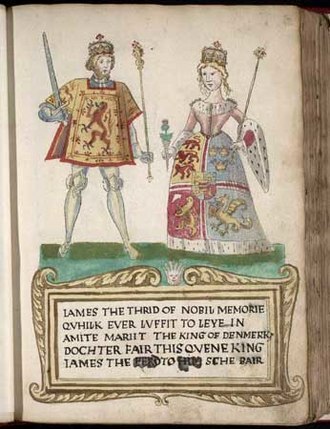 From the mid-sixteenth century, written Scots was increasingly influenced by the developing Standard English of Southern England due to developments in royal and political interactions with England. He scorned modern literature, spoke broad Scots from the bench, and even in writing took no pains to avoid the Scotticisms which most of his colleagues were coming to regard as vulgar. Others did however scorn Scots, such as intellectuals from the Scottish Enlightenment David Hume and Adam Smith, who went to great lengths to get rid of every Scotticism from their writings. Following such examples, many well-off Scots took to learning English through the activities of those such as Thomas Sheridan, who in 1761 gave a series of lectures on English elocution. Charging a guinea at a time (about £200 in today's money), they were attended by over 300 men, and he was made a freeman of the City of Edinburgh. Following this, some of the city's intellectuals formed the Select Society for Promoting the Reading and Speaking of the English Language in Scotland. From such eighteenth-century activities grew Scottish Standard English. Scots remained the vernacular of many rural communities and the growing number of urban working-class Scots. In the eighteenth and nineteenth centuries, the use of Scots as a literary language was revived by several prominent Scotsmen such as Robert Burns. Such writers established a new cross-dialect literary norm. During the first half of the twentieth century, knowledge of eighteenth- and nineteenth-century literary norms waned, and currently there is no institutionalised standard literary form. By the 1940s, the Scottish Education Department's language policy was that Scots had no value: "it is not the language of 'educated' people anywhere, and could not be described as a suitable medium of education or culture". Students reverted to Scots outside the classroom, but the reversion was not complete. What occurred, and has been occurring ever since, is a process of language attrition, whereby successive generations have adopted more and more features from Standard English. 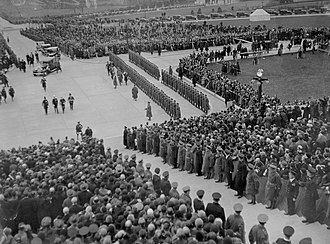 This process has accelerated rapidly since widespread access to mass media in English and increased population mobility became available after the Second World War. It has recently taken on the nature of wholesale language shift, sometimes also termed language change, convergence or merger. By the end of the twentieth century, Scots was at an advanced stage of language death over much of Lowland Scotland. Residual features of Scots are often regarded as slang. A 2010 Scottish Government study of "public attitudes towards the Scots language" found that 64% of respondents (around 1,000 individuals being a representative sample of Scotland's adult population) "don't really think of Scots as a language" but it also found that "the most frequent speakers are least likely to agree that it is not a language (58%) and those never speaking Scots most likely to do so (72%)". In the 2011 Scottish census, a question on Scots language ability was featured. 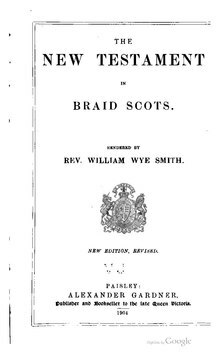 William Wye Smith's The New Testament in Braid Scots. Recently, attitudes have somewhat changed, and the status of the language has been raised in schools in Scotland. Scots is now included in the new national school curriculum. Previously in Scotland's schools there had been little education taking place through the medium of Scots, although it may have been covered superficially in English lessons, which could entail reading some Scots literature and observing the local dialect. Much of the material used was often Standard English disguised as Scots, which caused upset among proponents of Standard English and proponents of Scots alike. One example of the educational establishment's approach to Scots is, "Write a poem in Scots. (It is important not to be worried about spelling in this – write as you hear the sounds in your head. )", whereas guidelines for English require teaching pupils to be "writing fluently and legibly with accurate spelling and punctuation". The use of Scots in the media is scant and is usually reserved for niches where local dialect is deemed acceptable, e.g. comedy, Burns Night, or representations of traditions and times gone by. Serious use for news, encyclopaedias, documentaries, etc., rarely occurs in Scots, although the Scottish Parliament website has offered some information in it. The proportion of respondents in the 2011 census in Scotland aged 3 and above who stated that they can speak Scots. The proportion of respondents in the 2011 census in Northern Ireland aged 3 and above who stated that they can speak Ulster-Scots. It has been difficult to determine the number of speakers of Scots via census, because many respondents might interpret the question "Do you speak Scots?" in different ways. Campaigners for Scots pressed for this question to be included in the 2001 UK National Census. The results from a 1996 trial before the Census, by the General Register Office for Scotland, suggested that there were around 1.5 million speakers of Scots, with 30% of Scots responding "Yes" to the question "Can you speak the Scots language? ", but only 17% responding "Aye" to the question "Can you speak Scots?". (It was also found that older, working-class people were more likely to answer in the affirmative.) The University of Aberdeen Scots Leid Quorum performed its own research in 1995, cautiously suggesting that there were 2.7 million speakers, though with clarification as to why these figures required context. The GRO questions, as freely acknowledged by those who set them, were not as detailed and as systematic as the University of Aberdeen ones, and only included reared speakers, not those who had learned the language. Part of the difference resulted from the central question posed by surveys: "Do you speak Scots?". In the Aberdeen University study, the question was augmented with the further clause "... or a dialect of Scots such as Border etc. ", which resulted in greater recognition from respondents. The GRO concluded that there simply was not enough linguistic self-awareness amongst the Scottish populace, with people still thinking of themselves as speaking badly pronounced, grammatically inferior English rather than Scots, for an accurate census to be taken. The GRO research concluded that "[a] more precise estimate of genuine Scots language ability would require a more in-depth interview survey and may involve asking various questions about the language used in different situations. Such an approach would be inappropriate for a Census." Thus, although it was acknowledged that the "inclusion of such a Census question would undoubtedly raise the profile of Scots", no question about Scots was, in the end, included in the 2001 Census. The Scottish Government's Pupils in Scotland Census 2008 found that 306 pupils spoke Scots as their main home language. A Scottish Government study in 2010 found that 85% of around 1000 respondents (being a representative sample of Scotland's adult population) claim to speak Scots to varying degrees. Among the earliest Scots literature is John Barbour's Brus (fourteenth century), Wyntoun's Cronykil and Blind Harry's The Wallace (fifteenth century). From the fifteenth century, much literature based on the Royal Court in Edinburgh and the University of St Andrews was produced by writers such as Robert Henryson, William Dunbar, Gavin Douglas and David Lyndsay. The Complaynt of Scotland was an early printed work in Scots. The Eneados is a Middle Scots translation of Virgil's Aeneid, completed by Gavin Douglas in 1513. After the seventeenth century, anglicisation increased. At the time, many of the oral ballads from the borders and the North East were written down. Writers of the period were Robert Sempill, Robert Sempill the younger, Francis Sempill, Lady Wardlaw and Lady Grizel Baillie. In the eighteenth century, writers such as Allan Ramsay, Robert Burns, James Orr, Robert Fergusson and Walter Scott continued to use Scots – Burns's "Auld Lang Syne" is in Scots, for example. Scott introduced vernacular dialogue to his novels. Other well-known authors like Robert Louis Stevenson, William Alexander, George MacDonald, J. M. Barrie and other members of the Kailyard school like Ian Maclaren also wrote in Scots or used it in dialogue. In the Victorian era popular Scottish newspapers regularly included articles and commentary in the vernacular, often of unprecedented proportions. In the early twentieth century, a renaissance in the use of Scots occurred, its most vocal figure being Hugh MacDiarmid whose benchmark poem "A Drunk Man Looks at the Thistle" (1926) did much to demonstrate the power of Scots as a modern idiom. Other contemporaries were Douglas Young, John Buchan, Sidney Goodsir Smith, Robert Garioch, Edith Anne Robertson and Robert McLellan. The revival extended to verse and other literature. In 1955 three Ayrshire men – Sandy MacMillan, an English teacher at Ayr Academy; Thomas Limond, noted town Chamberlain of Ayr; and A.L. (Ross) Taylor, Rector of Cumnock Academy – collaborated to write Bairnsangs (Child Songs), a collection of children's nursery rhymes and poems in Scots. The book contains a five-page glossary of contemporary Scots words and their pronunciations. Alexander Gray's translations into Scots constitute the greater part of his work, and are the main basis for his reputation. In 1983 William Laughton Lorimer's translation of the New Testament from the original Greek was published. Highly anglicised Scots is sometimes used in contemporary fiction, for example, the Edinburgh dialect of Scots in Trainspotting by Irvine Welsh (later made into a motion picture of the same name). But'n'Ben A-Go-Go by Matthew Fitt is a cyberpunk novel written entirely in what Wir Ain Leid (Our Own Language) calls "General Scots". Like all cyberpunk work, it contains imaginative neologisms. The Rubaiyat of Omar Khayyam has been translated into Scots by Rab Wilson (published in 2004). Alexander Hutchison has translated the poetry of Catullus into Scots, and in the 1980s, Liz Lochhead produced a Scots translation of Tartuffe by Molière. J. K. Annand translated poetry and fiction from German and medieval Latin into Scots. The strip cartoons Oor Wullie and The Broons in the Sunday Post use some Scots. The orthography of Early Scots had become more or less standardised by the middle to late sixteenth century. After the Union of the Crowns in 1603 the Standard English of England came to have an increasing influence on the spelling of Scots through the increasing influence and availability of books printed in England. 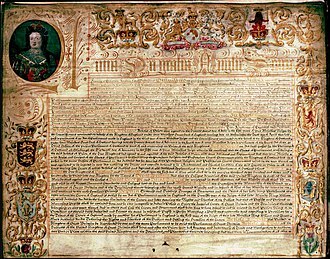 After the Acts of Union in 1707 the emerging Scottish form of Standard English replaced Scots for most formal writing in Scotland. The eighteenth-century Scots revival saw the introduction of a new literary language descended from the old court Scots, but with an orthography that had abandoned some of the more distinctive old Scots spellings and adopted many standard English spellings. Despite the updated spelling, however, the rhymes make it clear that a Scots pronunciation was intended. These writings also introduced what came to be known as the apologetic apostrophe, generally occurring where a consonant exists in the Standard English cognate. This Written Scots drew not only on the vernacular but also on the King James Bible and was also heavily influenced by the norms and conventions of Augustan English poetry. Consequently, this written Scots looked very similar to contemporary Standard English, suggesting a somewhat modified version of that, rather than a distinct speech form with a phonological system which had been developing independently for many centuries. This modern literary dialect, ‘Scots of the book' or Standard Scots once again gave Scots an orthography of its own, lacking neither "authority nor author." This literary language used throughout Lowland Scotland and Ulster, embodied by writers such as Allan Ramsay, Robert Fergusson, Robert Burns, Sir Walter Scott, Charles Murray, David Herbison, James Orr, James Hogg and William Laidlaw among others, is well described in the 1921 Manual of Modern Scots. Other authors developed dialect writing, preferring to represent their own speech in a more phonological manner rather than following the pan-dialect conventions of modern literary Scots, especially for the northern and insular dialects of Scots. 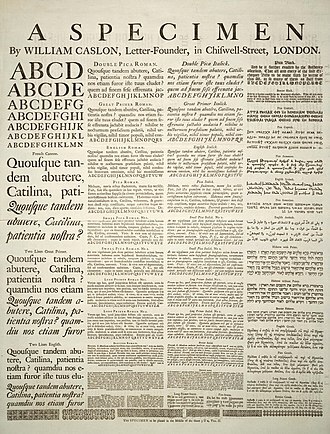 During the twentieth century a number of proposals for spelling reform were presented. Commenting on this, John Corbett (2003: 260) writes that "devising a normative orthography for Scots has been one of the greatest linguistic hobbies of the past century." Most proposals entailed regularising the use of established eighteenth and nineteenth century conventions, in particular the avoidance of the apologetic apostrophe which supposedly represented "missing" English letters. Such letters were never actually missing in Scots. For example, in the fourteenth century, Barbour spelt the Scots cognate of 'taken' as tane. Because there has been no k in the word for over 700 years, representing its omission with an apostrophe seems pointless. The current spelling is usually taen. Through the twentieth century, with the decline of spoken Scots and knowledge of the literary tradition, phonetic (often humorous) representations became more common. This is the storie o the birth o Jesus Christ. His mither Mary wis trystit til Joseph, but afore they war mairriet she wis fund tae be wi bairn bi the Halie Spírit. Her husband Joseph, honest man, hed nae mind tae affront her afore the warld an wis for brakkin aff their tryst hidlinweys; an sae he wis een ettlin tae dae, whan an angel o the Lord kythed til him in a draim an said til him, "Joseph, son o Dauvit, be nane feared tae tak Mary your trystit wife intil your hame; the bairn she is cairrein is o the Halie Spírit. She will beir a son, an the name ye ar tae gíe him is Jesus, for he will sauf his fowk frae their sins." Aa this happent at the wurd spokken bi the Lord throu the Prophet micht be fulfilled: Behaud, the virgin wil bouk an beir a son, an they will caa his name Immanuel – that is, "God wi us". Modern Scots follows the subject–verb–object sentence structure as does Standard English. However, the word order He turnt oot the licht to 'He turned the light out' and Gie's it (Give us it) to 'Give it to me' may be preferred. The indefinite article a may be used before both consonants and vowels. The definite article the is used before the names of seasons, days of the week, many nouns, diseases, trades and occupations, sciences and academic subjects. It is also often used in place of the indefinite article and instead of a possessive pronoun. Scots includes some strong plurals such as ee/een (eye/eyes), cauf/caur (calf/calves), horse/horse (horse/horses), cou/kye (cow/cows) and shae/shuin (shoe/shoes) that survived from Old English into Modern Scots but have become weak plurals in Standard Modern English – ox/oxen and child/children being exceptions. Nouns of measure and quantity remain unchanged in the plural. The relative pronoun is that for all persons and numbers, but may be elided. Modern Scots also has a third adjective/adverb this-that-yon/yonder (thon/thonder) indicating something at some distance. Thir and thae are the plurals of this and that respectively. The present tense of verbs adheres to the Northern subject rule whereby verbs end in -s in all persons and numbers except when a single personal pronoun is next to the verb. Certain verbs are often used progressively and verbs of motion may be dropped before an adverb or adverbial phrase of motion. Many verbs have strong or irregular forms which are distinctive from Standard English. The regular past form of the weak or regular verbs is -it, -t or -ed, according to the preceding consonant or vowel. The present participle and gerund in are now usually /ən/ but may still be differentiated /ən/ and /in/ in Southern Scots and, /ən/ and /ɪn/ North Northern Scots. The negative particle is na, sometimes spelled nae, e.g. canna (can't), daurna (daren't), michtna (mightn't). Adverbs usually take the same form as the verb root or adjective especially after verbs. Haein a real guid day (Having a really good day). She's awfu fauchelt (She's awfully tired). ^ With the exception of North Northern dialects this vowel has generally merged with vowels 2, 4 or 8. ^ Merges with vowels 15. and 8. in central dialects and vowel 2 in Northern dialects. ^ a b Also /(j)u/ or /(j)ʌ/ before /k/ and /x/ depending on dialect. ^ Vocalisation to /o/ may occur before /k/. ^ Some mergers with vowel 5. Vowel length is usually conditioned by the Scottish Vowel Length Rule. ^ Spelt ng, always /ŋ/. ^ /t/ may be a glottal stop between vowels or word final. In Ulster dentalised pronunciations may also occur, also for /d/. ^ In Northern dialects the clusters kn and gn may be realised as /kn/, /tn/ and /ɡn/ e.g. knap (talk), knee, knowe (knoll), etc. ^ The cluster nch is usually realised /nʃ/ e.g. brainch (branch), dunch (push), etc. ^ Spelt th. In Mid Northern varieties an intervocallic /ð/ may be realised /d/. Initial 'th' in thing, think and thank, etc. may be /h/. ^ Both /s/ and /z/ may be spelt s or se. Z is seldom used for /z/ but may occur in some words as a substitute for the older ⟨ȝ⟩ (yogh) realised /jɪ/ or /ŋ/. For example: brulzie (broil), gaberlunzie (a beggar) and the names Menzies, Finzean, Culzean, Mackenzie etc. ^ a b Spelt ch, also gh. Medial 'cht' may be /ð/ in Northern dialects. loch (fjord or lake), nicht (night), dochter (daughter), dreich (dreary), etc. Similar to the German "Nacht". The spelling ch is realised /tʃ/ word initially or where it follows 'r' e.g. airch (arch), mairch (march), etc. ^ a b Spelt r and pronounced in all positions, i.e. rhotically. ^ W /w/ and wh /ʍ/, older /xʍ/, do not merge. Northern dialects also have /f/ for /ʍ/. The cluster wr may be realised /wr/, more often /r/, but may be /vr/ in Northern dialects e.g. wrack (wreck), wrang (wrong), write, wrocht (worked), etc. ^ "Scotland's Census 2011 – Scots language skills" (PDF). ^ Hammarström, Harald; Forkel, Robert; Haspelmath, Martin, eds. (2017). "Scots". Glottolog 3.0. Jena, Germany: Max Planck Institute for the Science of Human History. ^ Grant, William (1931). "Map 2". Scottish National Dictionary. Archived from the original on 21 January 2012. ^ a b "Scottish National Dictionary (1700–): Scots, adj". Dsl.ac.uk. Retrieved 13 December 2016. ^ "Scottish National Dictionary (1700–): Doric". Dsl.ac.uk. Retrieved 13 December 2016. ^ Buchan, Peter; Toulmin, David (1998). Buchan Claik: The Saut and the Glaur O't : a Compendium of Words and Phrases from the North-east of Scotland. Gordon Wright. ISBN 978-0-903065-94-8. ^ "Scottish National Dictionary (1700–): Lawland, adj". Dsl.ac.uk. Retrieved 13 December 2016. 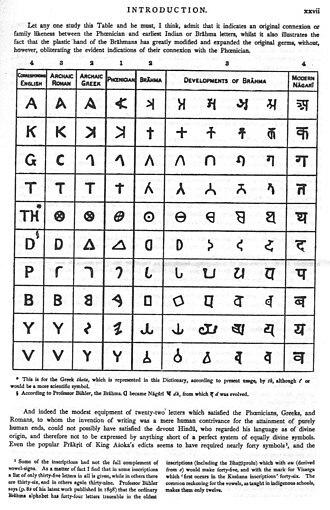 ^ "Ethnologue". Ethnologue. Retrieved 9 September 2012. ^ OED online, Scottish, a. and n.
^ "Scotslanguage.com - A Brief History of Scots". ^ "A History of Scots to 1700 (from the Dictionary of the Older Scottish Tongue Vol. 12 p. xxxvi)". Dictionary of the Scots Language. Retrieved 18 October 2015. ^ Horsbroch, Dauvit. "Nostra Vulgari Lingua: Scots as a European Language 1500–1700". 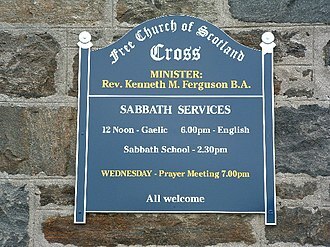 www.scots-online.org. Retrieved 18 October 2015. ^ a b Jane Stuart-Smith (2004). "Scottish English: phonology". In Bernd Kortmann and Edgar W. Schneider. A Handbook of Varieties of English. Walter de Gruyter. pp. 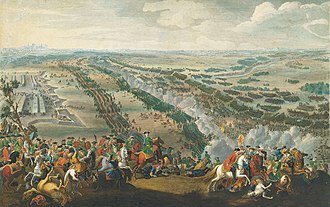 48–49. ISBN 978-3-11-017532-5. ^ Scott, Maggie (November 2007). "The Scots Continuum and Descriptive Linguistics". The Bottle Imp. Association for Scottish Literary Studies. Retrieved 21 July 2011. ^ "Second Report submitted by the United Kingdom pursuant to article 25, paragraph 2 of the framework convention for the protection of national minorities" (PDF). Coe.int. Retrieved 16 August 2013. ^ Calendar State Papers Scotland, vol. 1 (1898), 322. ^ Eagle, Andy (2006). "Aw Ae Wey – Written Scots in Scotland and Ulster" (PDF). Retrieved 18 October 2015. ^ a b The Scottish Government. "Public Attitudes Towards the Scots Language". Retrieved 18 October 2015. ^ "Scotland's Three Mother Tongues". Bestculturaldestinations.com. ^ "Scots language being revived in schools". BBC News. 13 February 2015. ^ "Knowledge of Language: Scots: Scots and Curriculum for Excellence". Education Scotland. Archived from the original on 2016-10-14. Retrieved 18 October 2015. ^ "Exposed to ridicule". The Scotsman. 7 February 2004. Retrieved 18 October 2015. ^ "Scots – Teaching approaches – Learning and Teaching Scotland Online Service". Ltscotland.org.uk. 3 November 2005. Archived from the original on 30 October 2004. Retrieved 21 May 2009. ^ "National Guidelines 5–14: ENGLISH LANGUAGE Learning and Teaching Scotland Online Service". Ltscotland.org.uk. Archived from the original on 6 October 2008. Retrieved 21 May 2009. ^ "The Scottish Parliament: – Languages – Scots". Scottish Parliament. Retrieved 18 October 2015. ^ "The Scots Language in education in Scotland" (PDF). Mercator-Education. 2002. ISSN 1570-1239. ^ T. G. K. Bryce and Walter M. Humes (2003). Scottish Education. Edinburgh University Press. pp. 263–264. ISBN 978-0-7486-1625-1. ^ "Pupils in Scotland, 2008". Scotland.gov.uk. 1 April 2009. Retrieved 9 September 2012. ^ "How to fill in your questionnaire: Individual question 16". Scotland's Census. General Register Office for Scotland. Archived from the original on 1 March 2011. Retrieved 21 July 2011. ^ William Donaldson, The Language of the People: Scots Prose from the Victorian Revival, Aberdeen University Press 1989. ^ Andy Eagle (26 July 2005). "Wir Ain Leed – An introduction to Modern Scots". 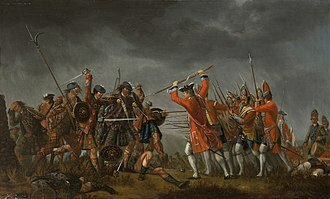 Scots-online.org. Retrieved 15 September 2012. ^ Agutter, Alex (1987) "A taxonomy of Older Scots orthography" in Caroline Macafee and Iseabail Macleod eds. The Nuttis Schell: Essays on the Scots Language Presented to A. J. Aitken, Aberdeen University Press, p. 75. ^ Grant, William; Dixon, James Main (1921) Manual of Modern Scots. Cambridge, University Press. p.126 ff. ^ "SND Introduction - Dialect Districts. p.xxxi". Dsl.ac.uk. Archived from the original on 21 January 2012. Retrieved 21 May 2009. ^ "SND INTRODUCTION". web.archive.org. 22 September 2012. County Donegal is a county of Ireland. 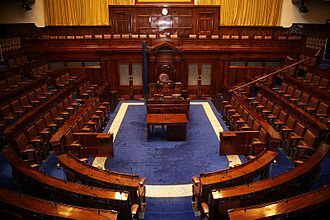 It is part of the Border Region of the Republic of Ireland and is in the province of Ulster and it is named after the town of Donegal in the south of the county. 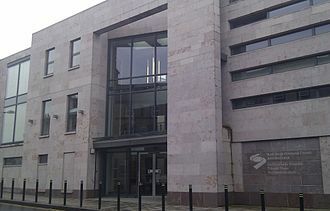 Donegal County Council is the council for the county and Lifford serves as the county town. The population of the county is 158,755 according to the 2016 census and it has been known as Tyrconnell, after the historic territory of the same name. In terms of size and area, it is the largest county in Ulster, County Donegal shares a small border with only one other county in the Republic of Ireland – County Leitrim. The greater part of its border is shared with three counties of Northern Ireland, County Londonderry, County Tyrone and County Fermanagh. 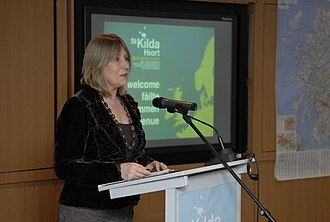 While Lifford is the county town, Letterkenny is by far the largest town in the county with a population of 19,588, Letterkenny and the nearby city of Derry form the main economic axis of the northwest of Ireland. 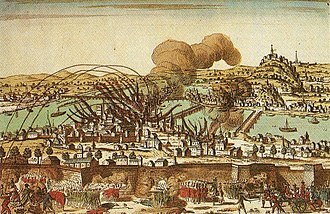 Indeed, what became the City of Derry was officially part of County Donegal up until 1610, there are two Gaeltacht districts in the west, The Rosses, centred on the town of Dungloe, and Gweedore. Another Gaeltacht district is located in the north-west, centred on the town of Falcarragh, the most northerly part of the island of Ireland is the location for three peninsulas of outstanding natural beauty, Inishowen and Rosguill. The main population centre of Inishowen, Irelands largest peninsula, is Buncrana, in the east of the county lies the Finn Valley. The Laggan district is centred on the town of Raphoe, according to the 1841 Census, County Donegal had a population of 296,000 people. As a result of famine and emigration, the population had reduced by 41,000 by 1851, by the time of the 1951 Census the population was only 44% of what it had been in 1841. The 2006 Census, undertaken by the States Central Statistics Office, had County Donegals population standing at 147,264, according to the 2011 Census, the countys population had grown to 161,137. It has an indented coastline forming natural sea loughs, of which both Lough Swilly and Lough Foyle are the most notable. The Slieve League cliffs are the sixth-highest sea cliffs in Europe, the climate is temperate and dominated by the Gulf Stream, with warm, damp summers and mild wet winters. The Scottish Government is Scotlands devolved government. It was formally renamed in 2012 to the Scottish Government by section 12 of the Scotland Act 2012, the government consists of cabinet secretaries, who attend cabinet meetings, and ministers, who do not. It is led by the first minister, who selects the cabinet secretaries, the Scottish Government is responsible for devolved matters, and those not explicitly reserved to the British Parliament in Westminster, by Schedule 5 to the Scotland Act 1998. Devolved matters that were decided on by the Scotland Act 1998 included healthcare provision, justice, rural affairs, economic development, the Scottish Government has administrative responsibility for some matters where it does not have legislative power. An example is Sections 36 &37 of the Electricity Act 1989 which allow the Scottish Government to authorise power transmission lines and grant power generation consents. The Scottish Governments budget is decided upon by the grant that is formulated using the Barnett Formula with the ability to increase or decrease income tax rates. In the financial year of 2016–17, the annual budget was £37.2 billion. The government is led by the First Minister, the Scottish Parliament nominates one of its members to be appointed as first minister by the monarch. He or she is assisted by various cabinet secretaries with individual portfolios, Ministers are similarly appointed to assist cabinet secretaries in their work. The Scottish law officers, the Lord Advocate and Solicitor General, can be appointed from outside the parliaments membership and they are appointed by the monarch on the recommendation of the first minister. The first minister, the secretaries and the Scottish law officers are the members of the Scottish Government. They are collectively known as the Scottish Ministers, the members of the government have substantial influence over legislation in Scotland, putting forward the majority of bills that are successful in becoming Acts of the Scottish Parliament. The structure of the team used by the Scottish National Party after its election victory in May 2007 differs from those used by previous governments. The Northern Isles is an archipelago comprising a chain of islands off the north coast of mainland Scotland. The climate is cool and temperate and much influenced by the surrounding seas, there are two main island groups and Orkney. Both have a renewable energy industry. They share a common Pictish and Norse history, the islands played a significant naval role during the world wars of the 20th century. 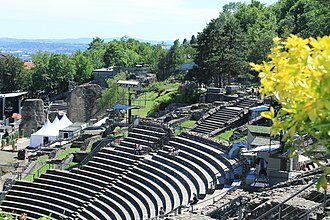 Tourism is important to both archipelagos, with their distinctive prehistoric ruins playing a key part in their attraction, and there are regular ferry, the Scandinavian influence remains strong, especially in relation to local folklore, and both island chains have strong, although distinct, local cultures. The place names of the islands are dominated by their Norse heritage, the phrase Northern Isles generally refers to the main islands of the Orkney and Shetland archipelagos. Stroma, which lies between mainland Scotland and Orkney, is part of Caithness, and so falls under Highland council area for government purposes. It is, clearly one of the isles of Scotland. Fair Isle and Foula are outliers of Shetland, but would normally be considered as part of Shetland, Sule Skerry and Sule Stack, although distant from the main group, are part of Orkney and technically amongst the Northern Isles. However, the small islands that lie off the north coast of Scotland are in Highland. Orkney is situated 16 kilometres north of the coast of mainland Scotland, the largest island, known as the Mainland has an area of 523.25 square kilometres, making it the sixth largest Scottish island. The total population in 2001 was 19,245 and the largest town is Kirkwall, Shetland is around 170 kilometres north of mainland Scotland, covers an area of 1,468 square kilometres and has a coastline 2,702 kilometres long. 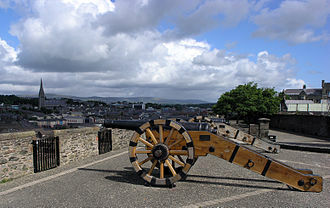 Lerwick, the capital and largest settlement, has a population of around 7,500, Orkney has 20 inhabited islands and Shetland a total of 16. The superficial rock of Orkney is almost entirely Old Red Sandstone, Middle Devonian basaltic volcanic rocks are found on western Hoy, on Deerness in eastern Mainland and on Shapinsay. Arran or the Isle of Arran, at 432 square kilometres, is the largest island in the Firth of Clyde and the seventh largest Scottish island. It is in the council area of North Ayrshire. In the 2011 census it had a resident population of 4,629, though culturally and physically similar to the Hebrides, it is separated from them by the Kintyre peninsula. It is divided into highland and lowland areas by the Highland Boundary Fault and has described as a geologists paradise. Arran has been inhabited since the early Neolithic period. From the 6th century onwards, Goidelic-speaking peoples from Ireland colonised it and it became a centre of religious activity, during the troubled Viking Age, Arran became the property of the Norwegian crown, until formally absorbed by the kingdom of Scotland in the 13th century. The 19th century clearances led to significant depopulation and the end of the Gaelic language, the economy and population have recovered in recent years, the main industry being tourism. There is a diversity of wildlife, including three species of endemic to the area. Arran is therefore not unusual in that the derivation of the name is far from clear, mac an Tàilleir states that it is said to be unrelated to the name Aran in Ireland. Any other Brythonic place names that may have existed were replaced on Arran as the Goidelic-speaking Gaels spread from Ireland via their adjacent kingdom of Dál Riata. During the Viking Age the island, along with the vast majority of the Scottish islands, became the property of the Norwegian crown, as a result of this Norse influence, many current place names on Arran are of Viking origin. The island lies in the Firth of Clyde between Ayr and Ardrossan, and Kintyre, the profile of the north Arran hills as seen from the Ayrshire coast is a well-known sight referred to as the Sleeping Warrior due to its resemblance to a resting human figure. The highest of these hills is Goat Fell at 873.5 metres, there are three other Corbetts, all in the north east, Caisteal Abhail, Cìr Mhòr and Beinn Tarsuinn. Beinn Bharrain is the highest peak in the north west at 721 metres, the largest valley on the island is Glen Iorsa to the west, whilst narrow Glen Sannox and Glen Rosa to the east surround Goat Fell. County Armagh is one of six counties that form Northern Ireland and one of the 32 traditional counties of Ireland, situated in the northeast of the island. Adjoined to the shore of Lough Neagh, the county covers an area of 1,326 km² and has a population of about 174,792. It is within the province of Ulster. County Armagh is known as the Orchard County because of its apple orchards. The name Armagh derives from the Irish word Ard meaning height and Macha, together meaning height, the River Blackwater marks the border with County Tyrone and Lough Neagh otherwise marks out the Countys northern boundary. There are a number of uninhabited islands in the section of Lough Neagh, Coney Island Flat, Croaghan Flat, Phil Roes Flat. Despite lying in the east of Ireland, Armagh enjoys a climate strongly influenced by the Gulf Stream with damp mild winters. Overall temperatures rarely drop below freezing during daylight hours, though frost is not infrequent in the months November to February, snow rarely lies for longer than a few hours even in the elevated south-east of the County. 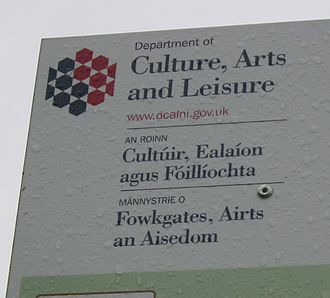 Summers are mild and wet and although with sunshine often interspersed with showers, ancient Armagh was the territory of the Ulaid before the fourth century AD. It was ruled by the Red Branch, whose capital was Emain Macha near Armagh, the site, and subsequently the city, were named after the goddess Macha. The Red Branch play an important role in the Ulster Cycle, they were eventually driven out of the area by the Three Collas, who invaded in the 4th century and held power until the 12th. The Clan Colla ruled the known as Airghialla or Oriel for these 800 years. 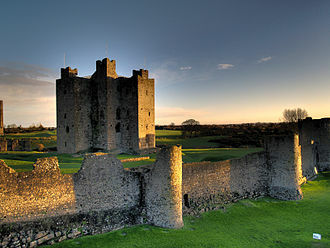 The chief Irish septs of the county were descendants of the Collas, the OHanlons and MacCanns, and the Uí Néill, Oneilland East was the territory of the OGarveys, who were displaced by the MacCanns. Oneilland West, like Oneilland East, was once ONeill territory, until it was held by the MacCanns. Upper and Lower Orior were OHanlon territory, miscellaneous tracts of land were ruled by OKelaghan. The area around the base of Slieve Guillion near Newry became home to a number of the McGuinness clan as they were dispossessed of hereditary lands held in the County Down. Anti-littering sign in Modern Scots on the Ayrshire Coastal Path.